QuickSeal Optimiser provides a top-up to the QuickSeal water based surface sealant, keeping your vehicle looking its best with no need to ever polish your vehicle. QuickSeal Optimiser used during the washing process once in every 4 - 6 washes maintains the QuickSeal water based sealant almost indefinitely. Once you've rinsed off the shampoo, simply spray a light mist of QuickSeal Optimiser over the entire vehicle, rinse thoroughly and dry with a synthetic chamois or microfibre drying cloth. QuickSeal Optimiser is safe on all surfaces including glass. It will also improve water dispersal on your windscreen, improving vision during wet weather and improving the efectiveness of your windscreen wipers. You can treat an average size vehicle with just over 100ml of Quickseal Optimiser, so the 500ml bottle should give you 3-5 applications. 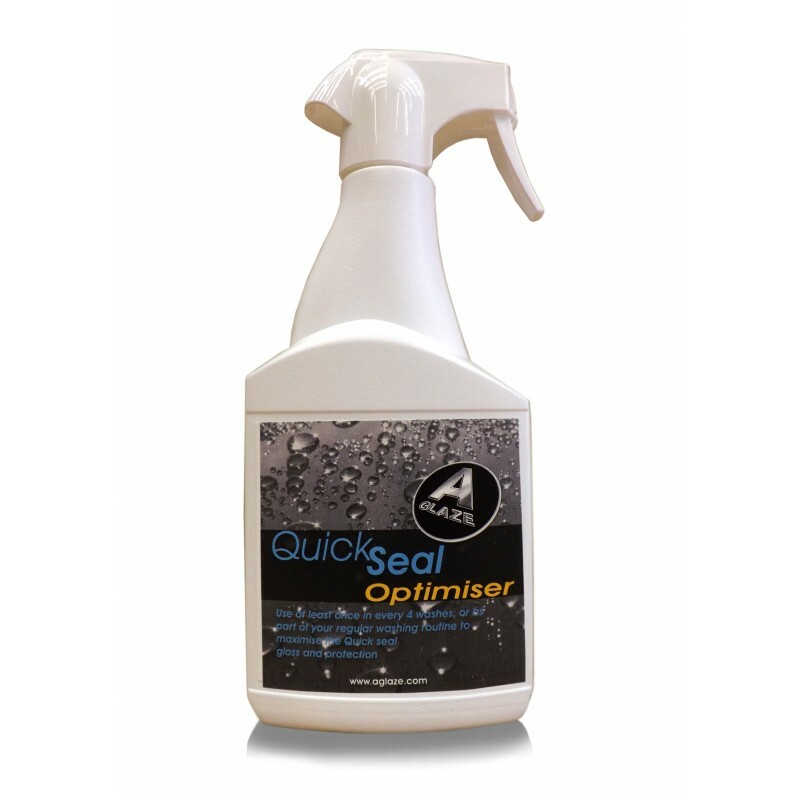 QuickSeal Optimiser is compatable with all AGlaze products. Have a look at the application video showing the QuickSeal application process - Optimiser is applied using exactly the same process.